Beethoven, Ludwig van, 1770-1827. Ars longa, vita brevis, WoO 193 . 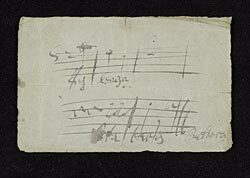 Canon, Ars longa, vita brevis : autograph manuscript, 1825?